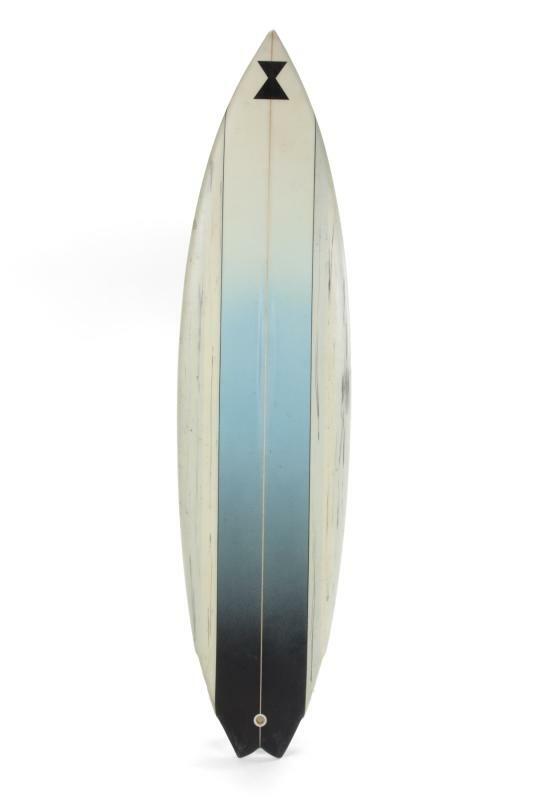 Home » Patrick Swayze’s Point Break Surfboard Just Sold For $50K! Patrick Swayze’s Point Break Surfboard Just Sold For $50K! Someone just bought a piece of classic surf film history for a cool 50 thousand dollars! Remember this surfboard, ridden by Bodhi in Point Break? Well a few weeks ago it went up for auction, along with a load of other film memorabilia from Patrick Swayze’s estate. The board was only expected to fetch in around 6 thousand dollars, however the auction house look to have seriously underestimated the appetite for this most unique of sleds, and last night the bidding finally finished up at a whopping $50,025! A Spyder brand surfboard custom designed by Dennis Jarvis for Patrick Swayze to use in his iconic role as Bodhi in the film Point Break (Largo Entertainment, 1991). The surfboard features an approximately 15-inch-long, 1.5-inch-wide channel running up the center of the board to allow for Swayze’s unusually pronounced sternum. The board is inscribed to the underside beneath the final coat of resin “Dennis Jarvis, California, 02635, for Patrick Swayze.” At least two additional boards were made for the production. This particular execution appears closest to the one used in the night surfing scene, which takes place at the end of Bodhi’s beach house party. Accompanied by a copy of the film.